This is the fourth (?) 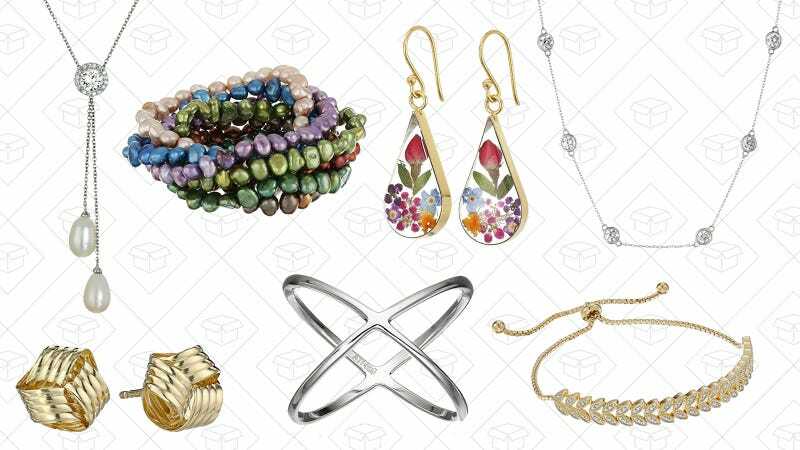 jewelry sale for Mother’s Day that Amazon has had, and it’s probably the biggest. Choose from over 450 pieces, from pendant necklaces to charm bracelets, to gold earrings. The styles are all over the place, so if your mom loves something sparkly, or maybe prefers something a little more subtle, there’s bound to be something you can buy.